You’ve had a long week and now it’s time to get out into nature. But where do you go? 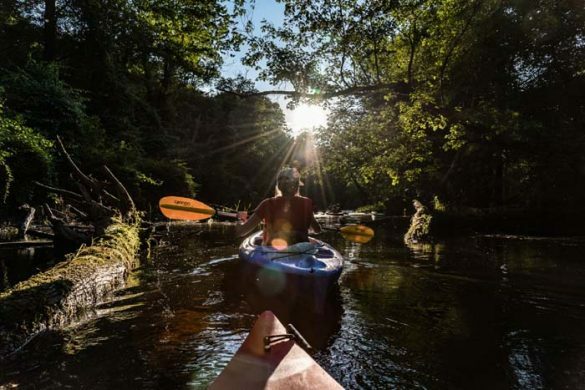 Paddling is one of New York’s favorite weekend activities. 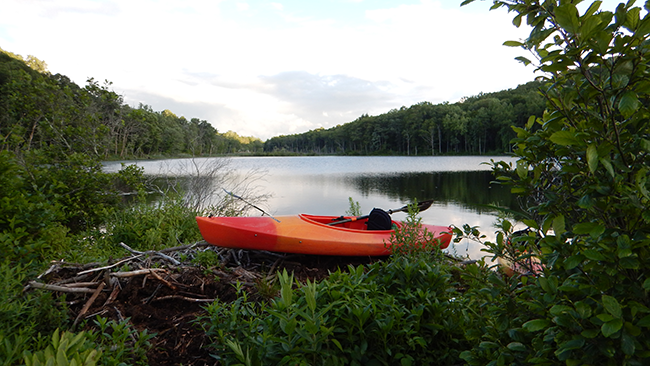 And the best places to kayak and canoe in the Hudson Valley are right outside your back door in the Great Swamp. There are 14 miles of navigable water in the South Flow, and a few miles of seasonally-accessible paddles in the North Flow. 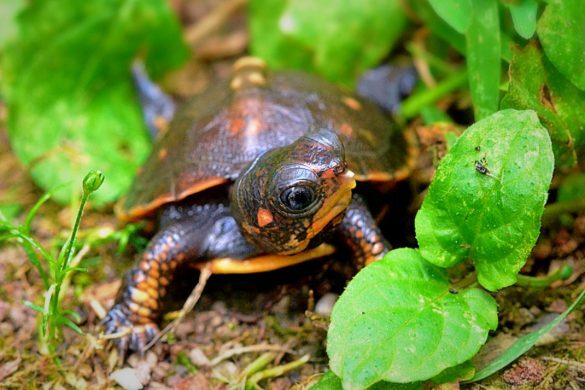 And while you’re at it, there are miles of hiking trails maintained by the DEC, Putnam County, the Town of Patterson, and PCLT offering beautiful vistas and the opportunity to enjoy wildlife at no cost. 1. Sodom Road Crossing: East of Route 22, where the Great Swamp flows into the East Branch Reservoir. River and boulder views. 2. Green Chimneys: 1.8 miles east of Route 22 on Doansburg Road (formerly Putnam Lake Road), 845-279-2995. Wooded swamp area. Good for canoe launch and walking. From the boat launch, you can travel south to the entrance of the reservoir (with the south current flow) or north all the way to the Patterson Environmental Park on South Street in the Patterson hamlet. If you travel south, remember canoes or kayaks are not allowed on any New York City reservoir. You must get off the river at the point where it meets the East Branch Reservoir. 3. Route 22 Bridge: Between Haviland Hollow Road and New York State Route 164, at the base of “Jackass Hill.” This is where the East Branch of the Croton River flows under the bridge just south of Texas Taco. From there one may go south or north. 4. Watchtower: A good view along Route 22 of expansive wetland forest and Pine Island. 5. Patterson Environmental Park: on Marble Quarry Road, just off South Street in the Patterson hamlet. Park Caretaker can be reached via Patterson Town Hall: 845-878-6500. Cross railroad tracks and drive in along dirt/gravel road to river and wetland. Wooded Swamp area. Good for canoe launch and walking. From this point one should go south only as the river is blocked with many blowdowns north of the park. Note: you will be crossing active Metro North Railroad tracks. Be vigilant when crossing! 6. Route 311 Bridge: East of Patterson Fire House. Good view of East Branch Croton River and wooded swamp. 7. Southern end of Cushman Road in Pawling: Take Route 311 to monument in Patterson, turn right on Maple, past Patterson Town Park (woods in back of park are part of Great Swamp). Continue to Town of Pawling line when road turns into ” Cushman.” Marsh and shrub in this area, mostly open, but nice. Songbirds (yellow warblers, swallows, flycatchers) and beaver. 8. Dutcher Avenue and South Street, Village of Pawling: Good views of the marsh area. 9. Mahaffey’s Greenhouse, Charles Colman Blvd. : Nice view of Swamp river and open wooded swamp. Beaver activities have flooded this area and have created open water. Permission required. 10. Pawling Corporation, Charles Colman Blvd. : Nice (landscaped) wetland park on the property. Permission required. 11. River Road Bridge: Good views of Swamp River and the wetland. Birds (herons, kingfishers, waterfowl) and basking turtles can often be seen here. 12. Hurd’s Corners and Appalachian Trail Rest Stop along Route 22: Dramatic landscape of the flood-plain with Corbin Hill in back. Minimal view of the wetland; Swamp River is small at this point. Use Appalachian Trail for access. 13. Kitchen Road at Railroad Track and Bridge: Good view of Swamp River and wetland to the north. Herons, kingfishers, flycatchers, solitary sandpipers, yellow warblers. Dead trees are due to beaver flooding. 14. Camp Sharparoon (Green Acres), Dover Furnace Road (Dutchess County Route 26): Beautiful area with woods, lakes, and meadows. Good painting opportunities. Permission required. 832-9190. 15. The old Psychiatric Center: From New York State Route 22, turn west at the traffic light near the Metro North Railroad Wingdale Station. Continue west until you reach the bridge over the water. A canoe or kayak may be launched there, but this area is not maintained and is quite narrow and overgrown with brush. It is useful to take clippers with you. In addition to these access points, there are a number of other accesses via public parks or nature preserves that are open to the public. The following preserves are owned and administered by the Putnam County Land Trust (PCLT). Contact PCLT for more information on these sites and other PCLT preserves. Route 22 north to Doansburg Road. Right onto Doansburg Road for 1 1/2 miles. Right onto Old Putnam Lake Road. 500 feet to preserve. Limited parking.13 acres of wet meadow flood plain containing a tributary of the East Croton River. Part of the southernmost section of the Great Swamp. Excellent birding site. Junction of Haviland Hollow Brook and the East Branch Croton River just East of Route 22. Seventeen acres along the East Branch Croton River. High quality red maple hardwood swamp and flood plain wetlands. Route 312 to Ice Pond Rd. (at the Junction of Rt. 312 and the Metro North Railroad tracks). Follow Ice Pond Rd. for approximately 2 miles. Preserve entrance is on the right. Limited parking. 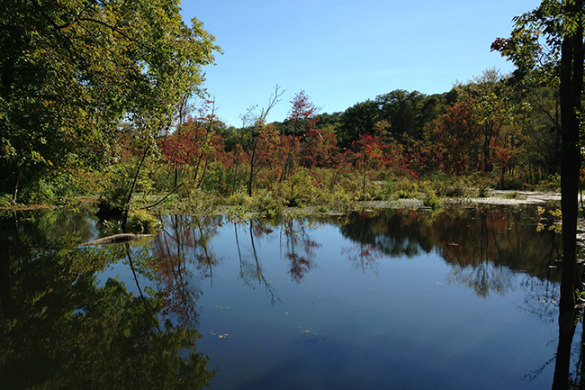 The 104 acre Ice Pond Preserve includes the 46 acre Ice Pond and 58 acres of forested hills and high quality wetlands. Route 164 to Farm-to-Market Road. Go south on Farm-to-Market. Just past Big Elm Road is a pond on the right. Take a right down a dirt lane at the South end of the pond. The preserve is 500 feet down the lane on the left. Alternatively, Route 312 to Farm-to Market. Left on Farm-to Market 1 /2 mi. past Brewster High-School. Take a left down the dirt lane at the South end of the pond. 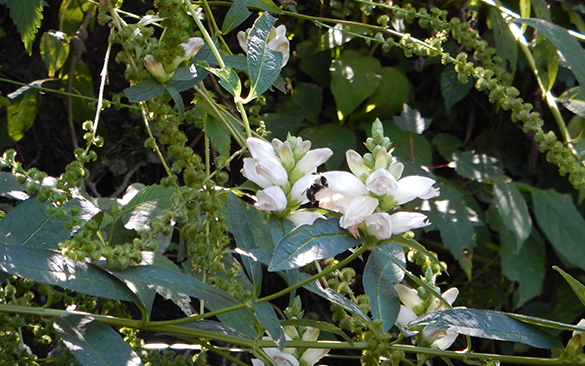 The well-marked trails bring you along stone walls, up and down hills, and adjacent to a large wetland. The following parks are owned by the Town of Patterson, and open to the public. Farm to Market Rd. near the Southeast Town line. The preserve is a mostly hemlock forest, and offers a hiking trail that leads to the picturesque Ice Pond. South St. across from the old One Room Schoolhouse, which is on the grounds of the Carmel Central School District offices. Exercise caution when crossing the Metro North tracks. 23-acre town owned nature preserve situated in The Great Swamp. The park offers hiking, fishing, canoeing, cross-country skiing.